Looking for a quick and loaded with flavor appetizer for game day? Look no further than these Greek Baked Meatballs. Just mix together the ingredients, roll into balls and bake for only 12 minutes into super moist and juicy Greek meatballs. This is a sponsored post on behalf of The Motherhood. My favorite part of Football is the food. It wouldn’t be a proper game without some tasty appetizers. Ideally, you want appetizers that require little prep, come together easily and will satisfy the most hungry of guests. Baked meatballs do just that. Ground beef and lamb: The main base for meaty flavor. 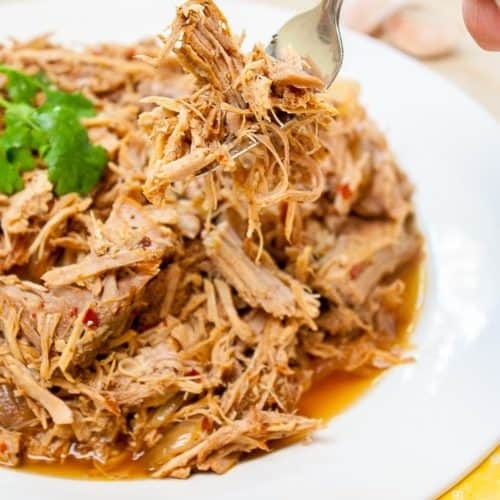 The combination of textures works well and beef helps to pare down the rich flavor of lamb. Breadcrumbs and milk: Helps moisten and create softness in baked meatballs. More on this later. Mezzetta Pitted Greek Kalamata Olives: Creates a nice saltiness to enhance flavors of the meat. Egg: Helps hold baked meatballs together. Greek seasoning, dried oregano, salt, and pepper: Flavor enhancers that work well in many savory recipes. Lemon zest: Lots of lemon flavor without the tanginess of lemon juice. Preheat oven to 425º F. Line a baking sheet with parchment paper or foil. Stir together breadcrumbs and milk to soak up. Combine ground beef and lamb, breadcrumb mixture, red onion, Kalamata olives, egg, Greek seasoning, oregano, salt, pepper and lemon zest. 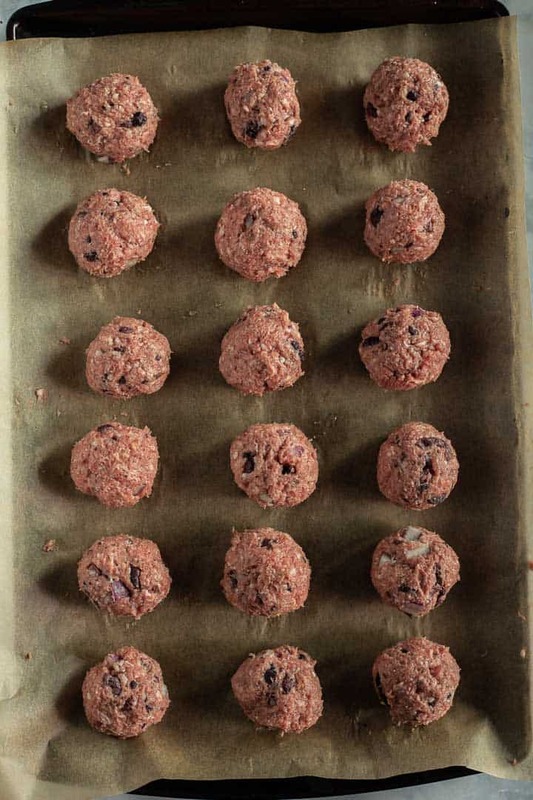 Roll the meat mixture into 18 balls, roughly 1-½ inches in diameter and place on prepared baking sheet. Bake 12-14 minutes, or until outsides are browned and internal temp reaches 165º. 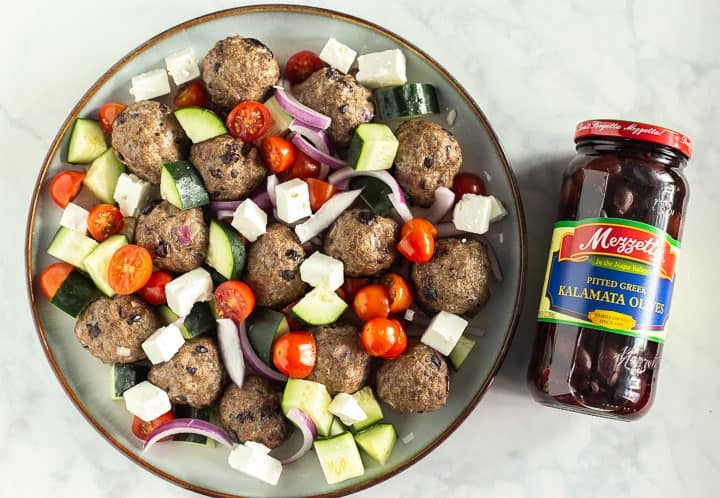 I use Mezzetta products for a lot of my cooking, including their Imported Greek Golden Peperoncini which could also be served with these baked meatballs. They maintain the highest standards of quality by sourcing only the finest olives from Greece for their Pitted Greek Kalamata Olives. All from small family farms that they’ve been working with for more than thirty years. Use 85% lean ground beef. The extra fat will create much juicier meatballs and better flavor. 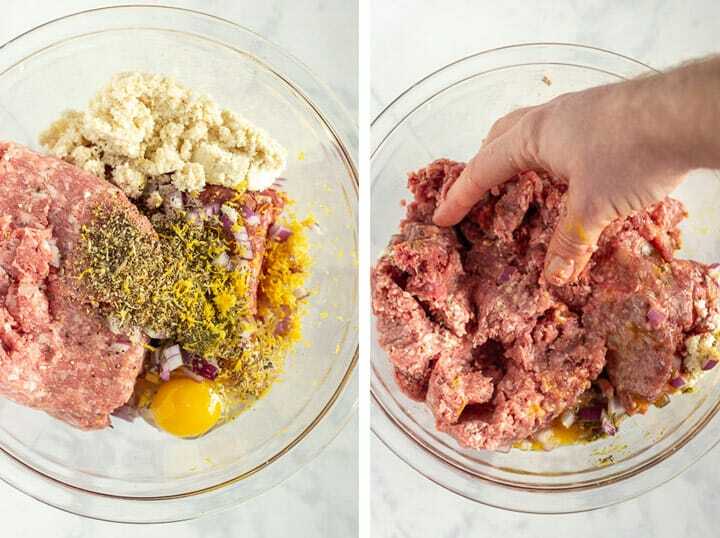 Roll the meat mixture into even balls. If meatballs are different sizes they will bake unevenly. 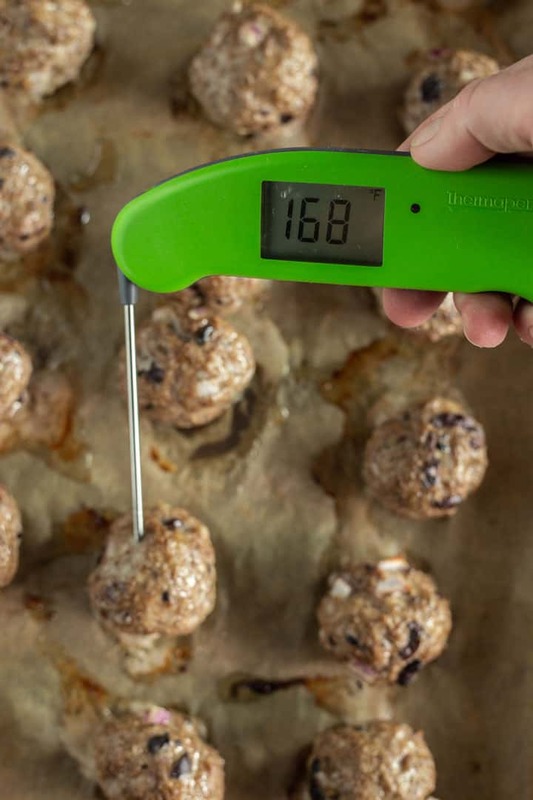 Higher oven temp works better to brown outsides of meatballs and speeds up baking time. Baked just until browned and internal temp reaches 165º. Overbaking will dry out meatballs. Serve immediately for best texture and flavor. If prepping ahead of time, keep warm under foil until ready to serve. Should you mix breadcrumbs with milk for meatballs? It’s best to combine breadcrumbs with milk and let sit before mixing into the meat. The breadcrumbs will soak up the liquid, creating wonderful softness and airiness to baked meatballs. Otherwise, they would just be baked balls of dense meat. Why do you add eggs to meatballs? This helps hold the meatballs together and is a critical ingredient. How long do you bake meatballs in the oven at 425º? Bake 12-14 minutes until browned. The higher heat works best to brown the outside of meatballs while perfectly cooking the insides to 165º. Baked meatballs can be prepared ahead of time then baked when ready to serve. Prep 1-2 days ahead of time and store uncooked meatballs in the fridge. Let sit at room temp about 30 minutes before baking. Try freezing them for easy leftovers: Prep meatballs and store them in a sealed container in freezer up to two months. Defrost in fridge 1-3 days before baking. Note: Some liquid from the meats may come out when defrosting. Simply drain, bring to room temp, then bake as directed. These baked meatballs are so loaded with flavor they are delectable on their own. 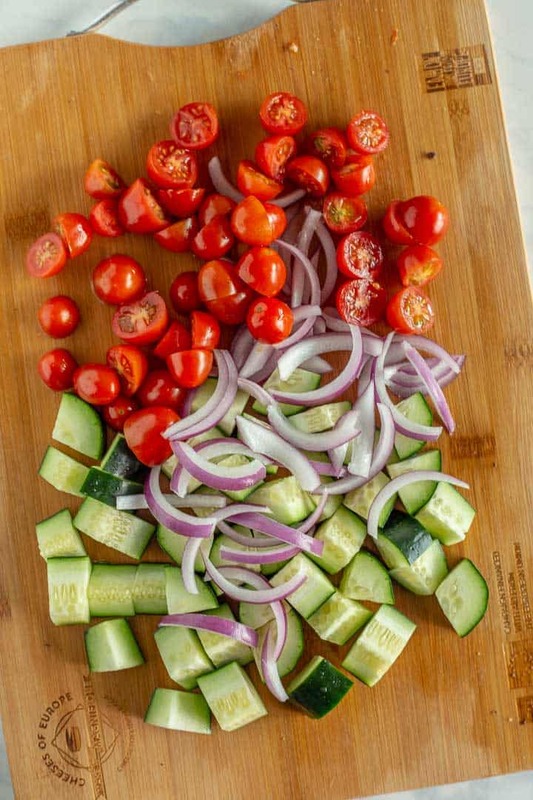 For additional flavors serve with tzatziki sauce, feta, and chopped veggies such as red onion, cucumbers, and tomatoes. Greek Baked Meatballs are a quick and easy appetizer for game day. 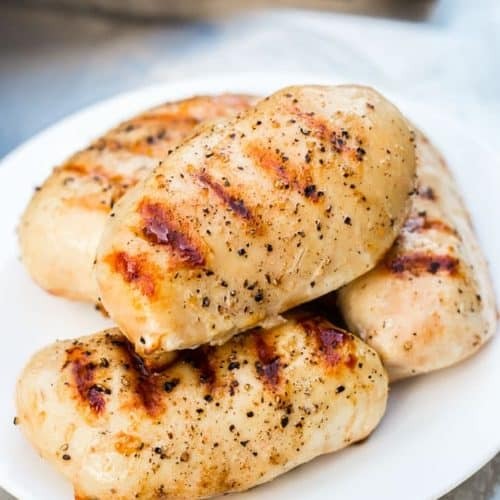 Super moist, juicy and loaded with flavor. Preheat oven to 425º F. Line a baking sheet with parchment paper or foil and set aside. In a small bowl, stir together breadcrumbs and milk. Let sit 5 minutes or until liquid has been soaked up. In a large bowl, combine ground beef and lamb, breadcrumb mixture, ½-cup onion, olives, egg, Greek seasoning, oregano, salt, pepper and lemon zest. Using your hands to mix works best to incorporate well. Roll the meat mixture into 18 balls, roughly 1-½ inches in diameter. Set on prepared baking sheet 1-inch apart. 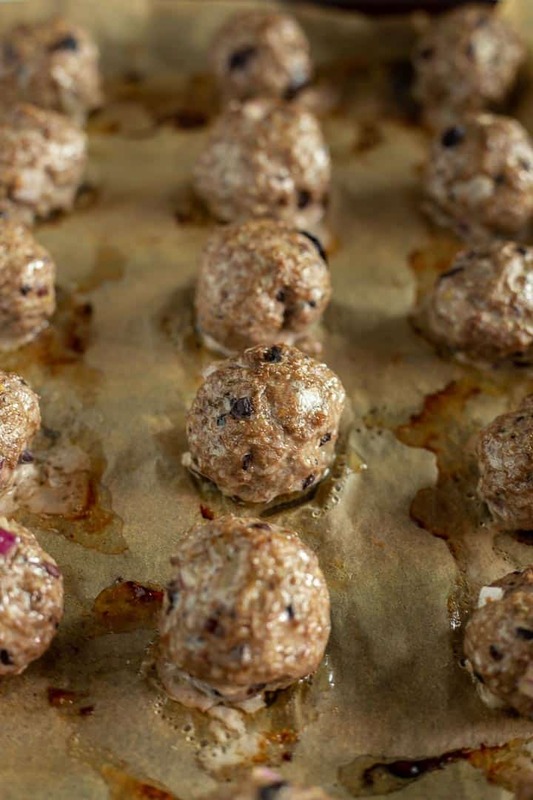 Optional: let meatballs sit at room temp 15-30 minutes before baking for more even cooking. Bake 12-14 minutes, or until outsides are browned and internal temp reaches 165º. Remove from oven and serve immediately. While Greek meatballs are baking: Cut remaining red onion into thin slices. Cut cucumber into quarters lengthwise, then into smaller cubes. Cut tomatoes in half. If feta is in a block cut into smaller cubes. Spread veggies onto a serving dish and top with baked meatballs and tzatziki sauce. Serve with toothpicks for an easy party appetizer. Be sure to soak the breadcrumbs in milk before adding to meat. This is an important step for proper texture. The extra fat in 85% lean ground beef will create much juicier meatballs and better flavor. Overbaking will dry out meatballs. YES! 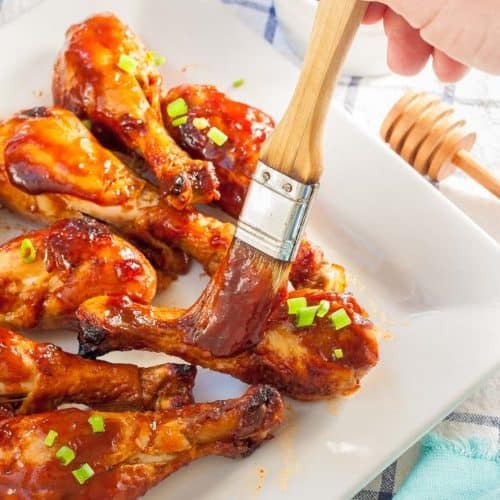 These are for sure a great game day food!!! Definitely a crowd pleaser!!! 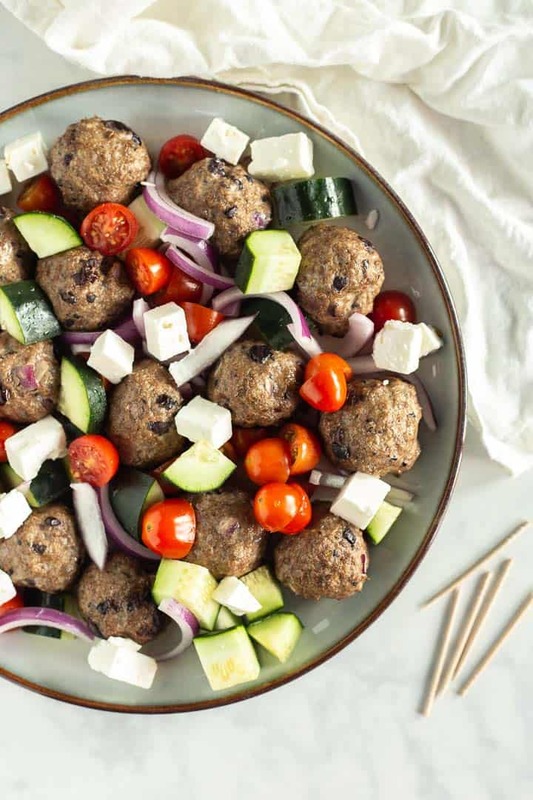 OMG I love all things Greek but I have never thought to make a Greek meatball salad like this. It looks irresistible! 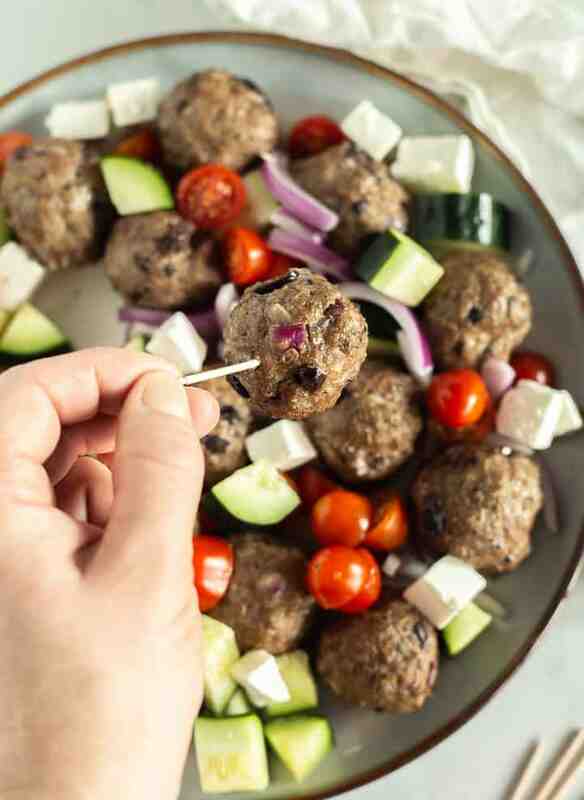 I love Greek flavors, and these meatballs have it all! I would make a giant batch of these and freeze some so I could pull them out and use them throughout the week! Thanks for the delicious recipe! That’s an awesome idea Katie! You can totally do that. These meatballs look incredible! I am definitely trying these asap! I hope you do! Thanks Tayler. These meatballs look so yummy. Love the Greek twist – I can’t get enough of feta! Yes it’s such a wonderful combination of flavors. Thanks Beth! 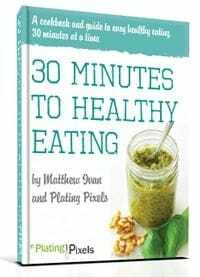 Great tips on cooking meatballs and beautiful photos! These look delicious! Thanks Juli and glad the cooking tips were helpful!